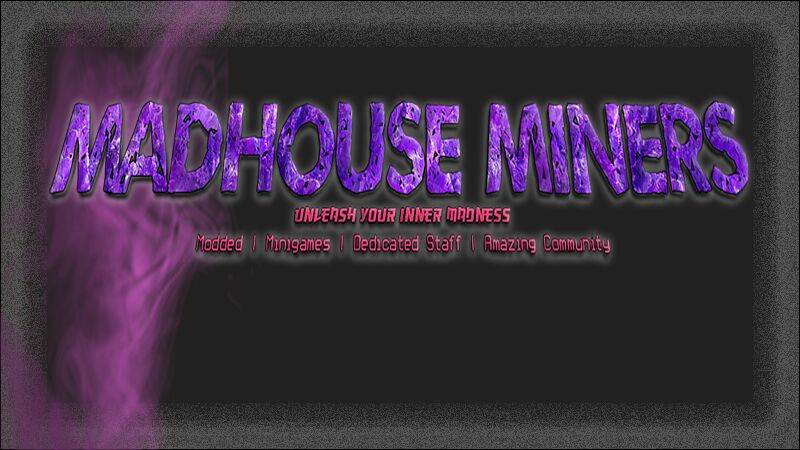 Hello and welcome to Madhouse Miners Direwolf20 server! Running on dedicated hardware hosted in Germany, ran by 2 crazy British Northerners! We keep this server updated with the latest pack version, latest in SpongeForge technology and plugins! With a friendly community and staff ready to help, what more could you ask for!? We trust our players, however grief prevention measures have been taken to keep griefing to a minimum. We do have some banned items, but do try to keep these to a minimum too so you can get a full feel for the modpack. And fill out a application!